Quick overview Myths and tales of metamorphosis, from Leda and the swan to Dr Jekyll and Mr Hyde, command great excitement and pleasure among readers. This book explores stories of transformation, in poetry, fiction, and painting. It shows how ideas about human personality, such as the zombie and the doppelganger, develop in the encounter between cultures. Metamorphosis is a dynamic principle of creation, vital to natural processes of generation and evolution, growth and decay, yet it also threatens personal identity if human beings are subject to a continual process of bodily transformation. Shape-shifting also belongs in the landscape of magic, witchcraft, and wonder, and enlivens classical mythology, early modern fairy tales and uncanny fictions of the nineteenth and twentieth centuries. This collection of essays, given as the Clarendon Lectures in English 2001, takes four dominant processes of metamorphosis: Mutating, Hatching, Splitting, and Doubling, and explores their metaphorical power in the evication of human personality. Marina Warner traces this story against a background of historical encounters with different cultures, especially with the Caribbean. 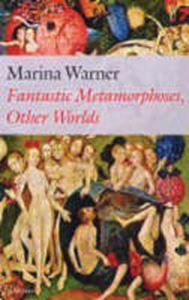 Beginning with Ovid's great poem, The Metamorphoses, as the founding text of the metamorphic tradition, she takes us on a journey of exploration, into the fantastic art of Hieronymous Bosch, the legends of the Taino people, the life cycle of the butterfly, the myth of Leda and the Swan, the genealogy of the Zombie, the pantomime of Aladdin, the haunting of doppelgangers, the coming of photography, and the late fiction of Lewis Carroll.